A KEEPER for any collection! 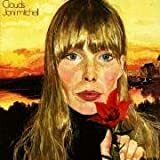 Joni's voice and its tone have become so rich and full over the years. We were glad to add this to our collection. The orchestra backing her is a wonderful accompaniment. It's a long way from Woodstock, but really not so far. A wonderful addition for any fan or anyone who enjoys deep, full sounds and lyrical vocals. The final track is awe inspiring! I can never get enough of Joni's voice. She is the rarest element on the singer-songwriter chart. Fiddle & the Drum is a spirited rebuke of militarism that would no doubt be considered silly and pretentious by many. Unfortunately it isn't and continues to be relevant through the years. Wonderful Early Album By The Diva Of Modern Pop-Folk Music!